For the past 23 years, the Early Times Mint Julep has proudly served as the “Official Drink of the Kentucky Derby®” with a commemorative artwork bottle released for the past 12 years. Early Times tells BourbonBlog.com that they are now looking for the next artist whose work will grace the 2011 Early Times Mint Julep bottle with the “Early Times Mint Julep Bottle Artist Search” contest. For 11 of the 12 commemorative bottles, the paintings of the inimitable Celeste Susany have graced the bottle, including the most recent one featured to the left.. 2010 marks her final year with her masterwork entitled “A Golden Moment” featuring the field of contenders galloping along the back stretch while the twin spires stand majestically in the background. 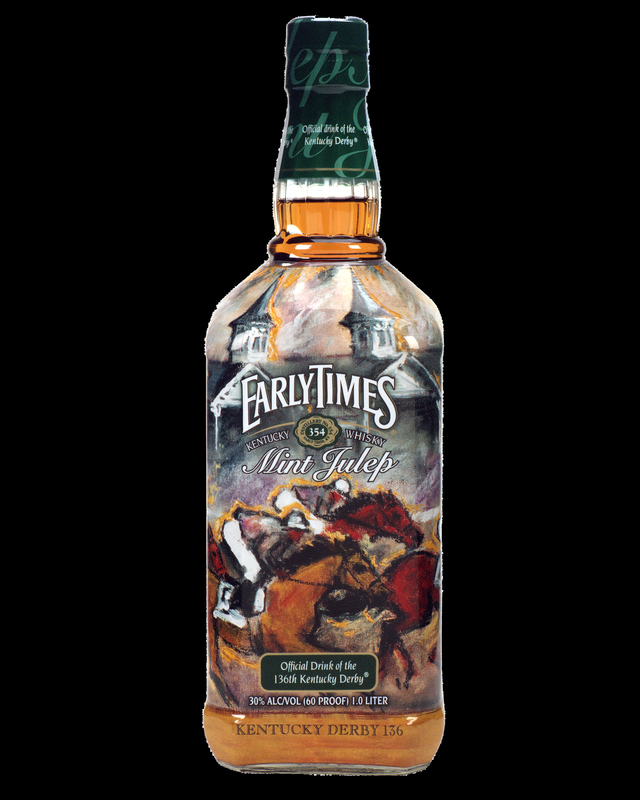 With 2010 marking Susany’s final year of doing the artwork for the commemorative bottle, Early Times is giving consumers the opportunity to submit their own, original artwork for the chance to be featured on the 2011 Kentucky Derby bottle. Consumers can log on to www.earlytimes.com/etmjartistsearch to submit their “What Derby Means to Me” artwork, as well as to see official rules and contest details. The winner will win a VIP trip for two to the 2011 Kentucky Derby, $5,000 in cash, along with having their artwork featured on the 2011 Early Times Mint Julep bottle. All entries must be received by June 30, 2010 to be considered. Entrants will be judged on the originality, creativity and overall quality of the artwork.